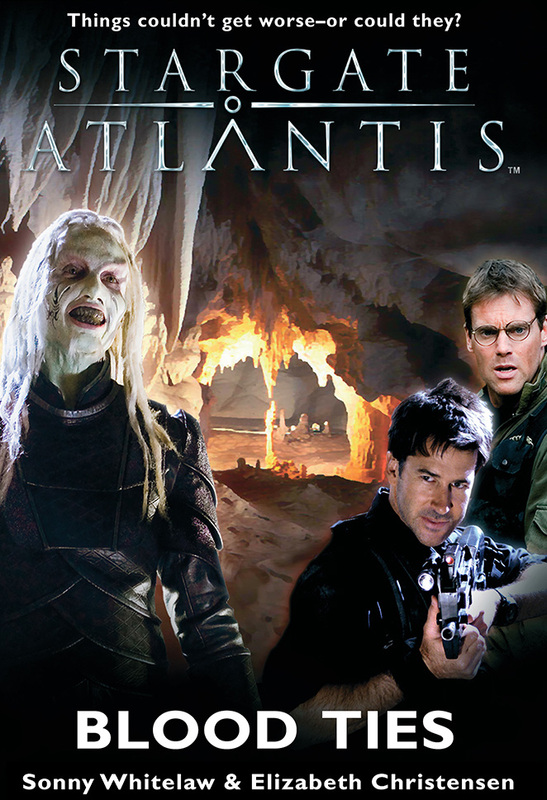 Set near the end of Season 3 , the Atlantis team return from the Pegasus Galaxy to investigate a Wraith sighting on Earth. Teaming up with members of SG-1, they soon discover that the Wraith aren’t the only monsters stalking human prey. This is not a crossover with SG-1, however it is set at the end of Season 10 SG-1. We brought on board Daniel Jackson because in this, our final Stargate novel, we wanted to tie all of the Stargate mythology together as a homage to Dean Devlin’s original premise. Along with Roswell, which is a homage to the origins and mythology of Stargate, Blood Ties felt like like a fitting farewell to ten years of SG-1 while still remaining very much an Atlantis story. Without giving away too much, some of the settings were inspired by New Zealand’s South Island, specifically Punakaiki, the stunning Cradle Mountain region in Tasmania (and the caves), getting caught out there during the bushfires (at the time I was looking to buy property there, but settled on New Zealand instead), and scenes from Indiana Jones and the Last Crusade.